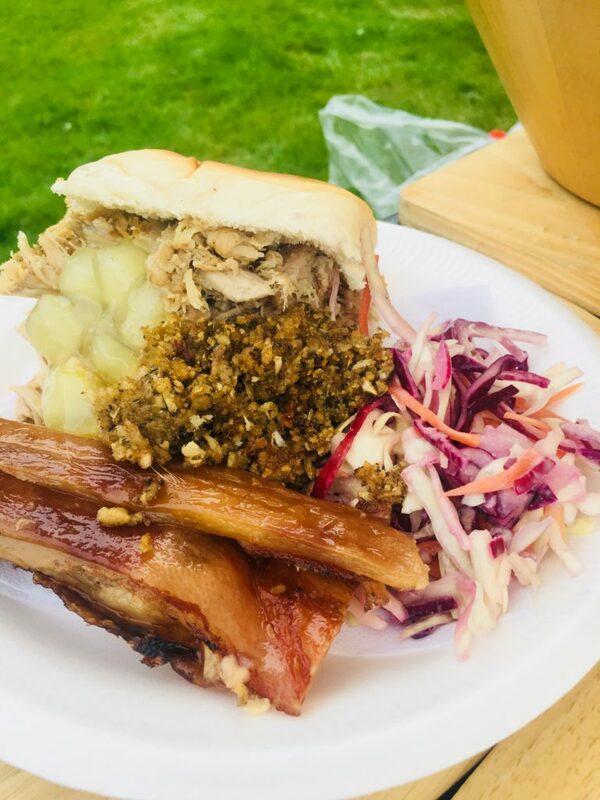 If you want superior mobile catering for any event taking place in the heart of the Strathmore valley, look no further than the Hog Roast Coupar Angus team. Not only are we the leading hog roast specialists in the area, we also offer well-crafted, contemporary menus befitting for all occasions. We are an ideal option for large outdoor events, as well as being just as good at catering for more formal indoor occasions. Our adaptable cooking equipment and multi-skilled catering team can conjure up remarkable feasts from scratch in any location and our sleek hog roast machines make a great sociable centrepiece for any party. From rustic buffets to refined 3-couse meals, Hog Roast Coupar Angus’s menu options will leave you well and truly spoilt for choice, whether you are in need of some great grub for outdoor entertaining or a sophisticated spread for an extra special occasion. As well as offering you the best pork in the area, we also provide a stunning selection of other slow-roasted meats, seasonal and themed menus, vegetarian dishes, and a variety of starters and desserts. For extra special occasions, we also have a range of creative canapes that are guaranteed to whet everyone’s appetite. All of our food is freshly prepared at your venue whilst the meat is being patiently attended to by our talented chefs. Our team work with passion and precision to deliver outstanding food served right on time and we never cut corners when it comes to preparing any part of your menu. All of our ingredients are selected from the finest local produce the area has to offer and treated with the respect they deserve to ensure their natural flavour and quality shines through in every dish we present to you. If you have guests with any specific dietary requirements, we can provide alternative products such as gluten-free bread rolls and wraps, to ensure no one is left out and everyone can relax and enjoy a great meal together. We can also adapt our service style depending on the level of formality your event requires, whether you want a buffet or a formal 3-course meal with full table service provided by our own events team. If you choose Hog Roast Coupar Angus, we will give you the food you love and the service you deserve for your special occasion.